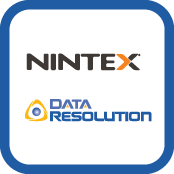 Data Resolutions' Sharepoint Enterprise 2016 gives you access to a pre-configured image of SP with Data Resolutions' award-winning support. SharePoint Enterprise 2016 for AWS "All In One" for SME or Line of Business implementation. Best for Test or Development teams working on short term development projects, to share and collaborate on new ideas and engage in social conversations. With Nintex Workflow for SharePoint, you can tackle everything from basic business functions to company-wide processes with a few clicks - not code. Your SharePoint users can easily build entire workflows through an intuitive, browser-based, drag-and-drop workflow designer. Nintex Forms for SharePoint is the quick and easy forms designer that seamlessly integrates with Nintex Workflow. Best for up to 10 users. Ideal for Line of Business implementation or Test and Development teams working on short term development project. Optmized for performance from award-winning Microsoft Hoster. The best of SharePoint with the flexiblity of the AWS platform. - Managed Support and Services including migration, setup and customization to fit business needs. With a catalog of sample workflows and defaults that pre-configure common activities and settings, building workflows is as easy as drag, drop, done. Nintex Workflow for SharePoint fits seamlessly with your existing environment without a need for separate servers or infrastructure.